Meeting the Saulses. | Scuffalong: Genealogy. Meeting the Saulses. – Scuffalong: Genealogy. All week, I was pressed. Wave after wave of thunderstorms had been crashing over eastern North Carolina, tornadoes swirling in their wake. The rain didn’t stop until the night before I flew in, and I knew that Contentnea Creek floods early and often. Friday dawned bright and blue though. I headed down Highway 58, excitement brimming like the sheets of water standing in fields on both sides of the pavement. 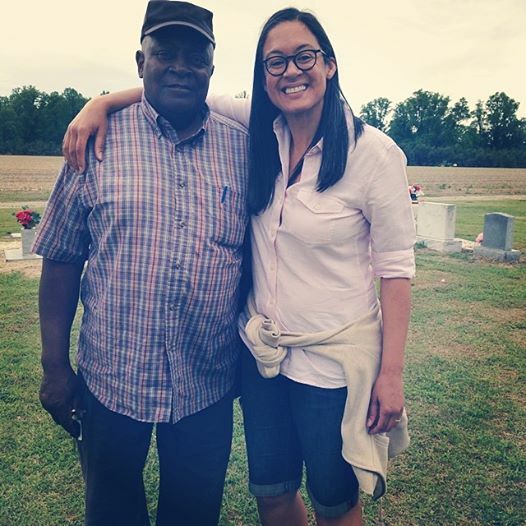 Though several roads around Stantonsburg were still closed, my path was clear, and I pulled into the Saulses’ driveway at the stroke of 10 A.M.
Cousin Andrew Sauls is a reserved man, but welcoming and friendly, and he and his wife, Cousin Jannettie, put me quickly at ease. They were curious about my connection to Daniel Artis and the Saulses, and as I began to explain about Vicey and Sylvania and Adam T., we realized that he had known many of “my” Artises as a young man. 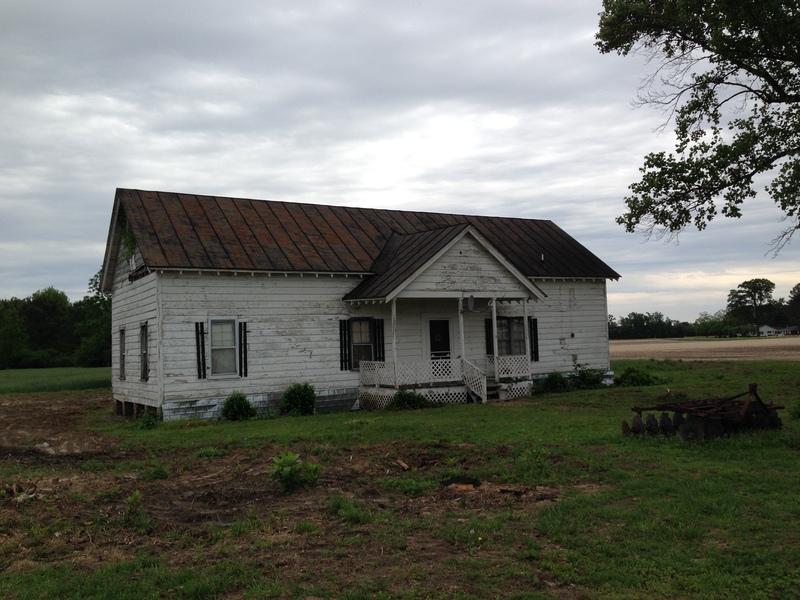 In addition to farming hundreds of acres northwest of Snow Hill, his father, Isaac Sauls Jr., bought, rehabbed and sold farms, was a skilled carpenter, and operated several businesses. In 1947, after a short-lived stint operating a funeral home in Snow Hill, Isaac bought a saw mill, refurbished it, and began cutting lumber the following year. Cousin Andrew started working there as a ten year-old and recalled that the factory made good money for more than 20 years because there was a high demand for raw lumber. In those days, he said, “I didn’t know nair black person had a brick house in Greene County. Nor hardly any white ones.” People needed lumber for home repairs and to build tobacco barns and other out buildings. Though most of the Saulses’ customers were white, they also sold to many black farmers in Greene and surrounding counties, including Les, William and Walter Artis in Wayne County. Brothers William and Walter were sons of Adam T. and Frances Seaberry Artis, and Leslie, son of Napoleon Artis, was their nephew. (William, Walter and Napoleon were brothers of my great-great-grandmother, Louvicey Artis Aldridge. All were grandchildren of Vicey Artis Williams, who was Daniel Artis’ sister.) Cousin Isaac recalled Les as one of the richest black men in Wayne County, and the first he knew of to own a Cadillac. He laughed as he recounted hauling a load of lumber to Walter Artis as a 17 year-old and being offered some liquor. Isaac Sauls Jr. also operated a “stick mill” that cut tobacco sticks for farmers during the summer months. Cousin Hattie spoke of C.D. Sauls’ ownership of several businesses in Snow Hill, including a hotel and a funeral home. She was not sure if he was a formally educated man, but he appeared to be. He was on personal terms with Booker T. Washington and traveled to Tuskegee Institute to speak on occasion. He also owned shares in a cotton mill in Concord, North Carolina. (This would have been the ill-fated Coleman Manufacturing Company.) He apparently occasionally contibuted a column to a newspaper in Kinston, and she promised to send me a copy of an article. Later, when I mentioned that my mother had taught at North Greene Elementary School for a few years when she first came to North Carolina, Cousin Hattie asked if she knew Annie Edwards Moye, who’d taught there for 45 years. (Annie Moye was a descendant of Clara Artis Edwards, daughter of Daniel Artis.) I didn’t know the answer at the time, but soon learned that my mother in fact had commuted to Greene County with Mrs. Moye and other teachers who lived in Wilson! Neither his father nor his grandfather had much education, said Cousin Andrew, but they were smart and shrewd and skilled and able to form strong business relationships on the strength of their word. Isaac Sr., born at the start of the Civil War to the enslaved daughter of a free-born, land-owning man and his enslaved wife, was a master carpenter who began to accumulate land at an early age and passed his drive and determination on to his children. One hundred and fifty years later, his gift shines in his grandson Andrew. Cousin Andrew and me at Artis Town cemetery, 2 May 2014. Pingback: The Man. | Scuffalong: Genealogy. Hi! I’ve recently started digging into my genealogy. I’ve known quite a bit about one side of my family (the Mickens family), but I reconnected with my grandfather who is a Sauls from Greene Co. maybe 6 or 7 years ago. Last night we talked for a couple of hours about his family’s history, and he named many of the names you have on your blog (Isaac, Hattie, Andrew, etc.) and told some stories about the land and banks and businesses they owned. He’s mailing me a ton of photos of his older relatives, including some of his great-grandmother with whom he lived as a child. If you are interested in seeing the pictures or chatting further about the Sauls, please reach out by email! Hi! Thanks for reaching out. Unfortunately I have no photos other than those posted already in the blog. Thanks again Lisa !Wondering if you have any information on Cain’s father George Sauls b. 1830 in Greene Co. according to Cain’s death certificate. We have yet to find the relationship between Cain and Hannah Sauls Speight. We have dna evidence for Hannah’s descendants but would have loved to find descendants of Cain or Isaac to compare. Per his testimony, Cain and Hannah were second cousins. I have no further info re Cain’s father George, and Cain does not have living descendants. However, my post re Daniel Artis lists numerous descendants of George.